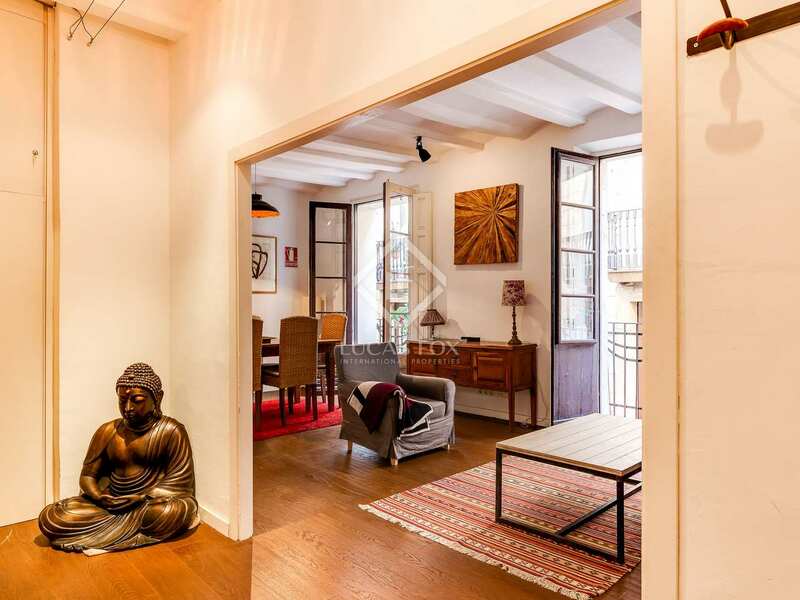 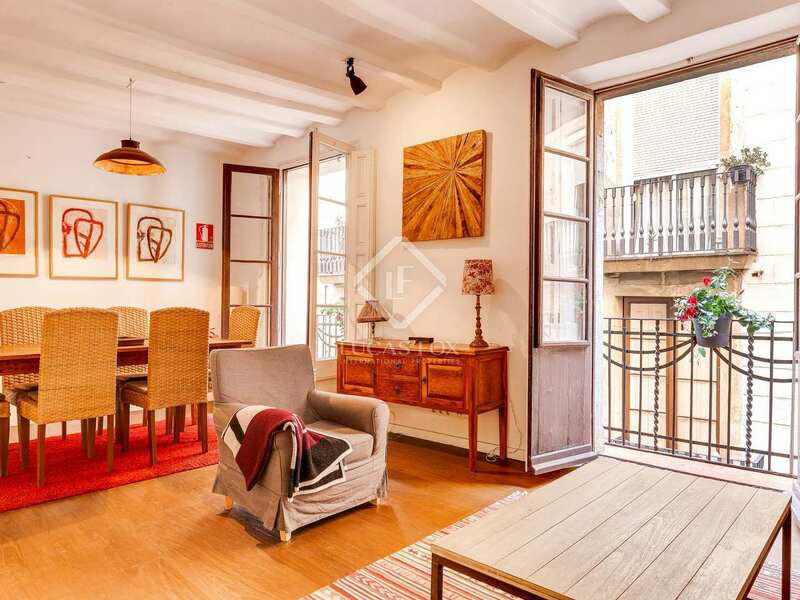 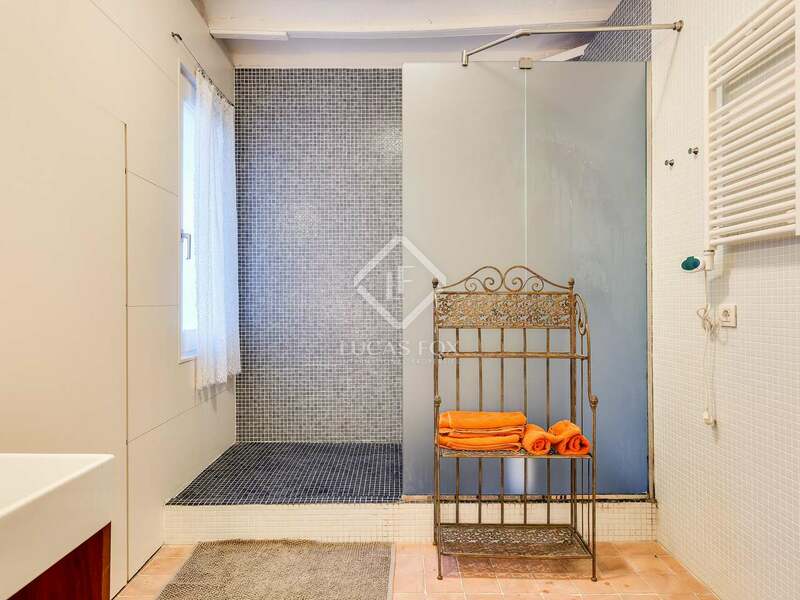 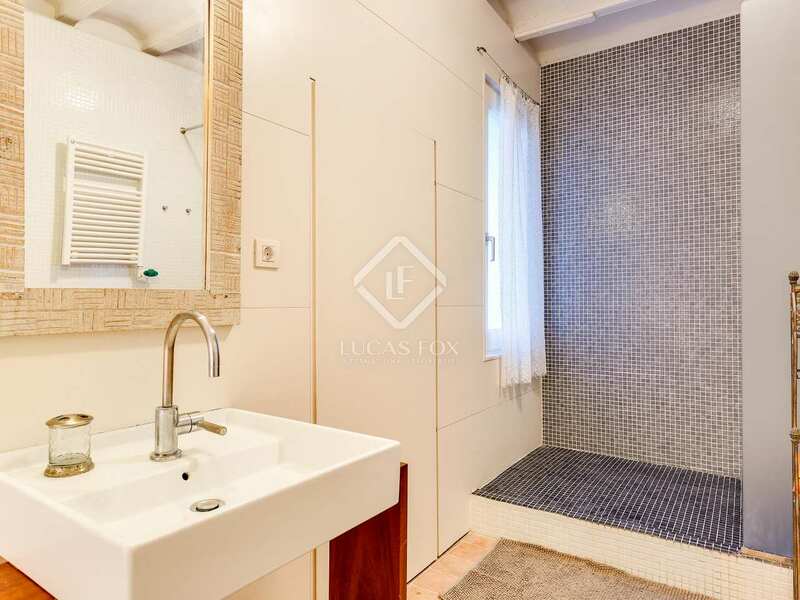 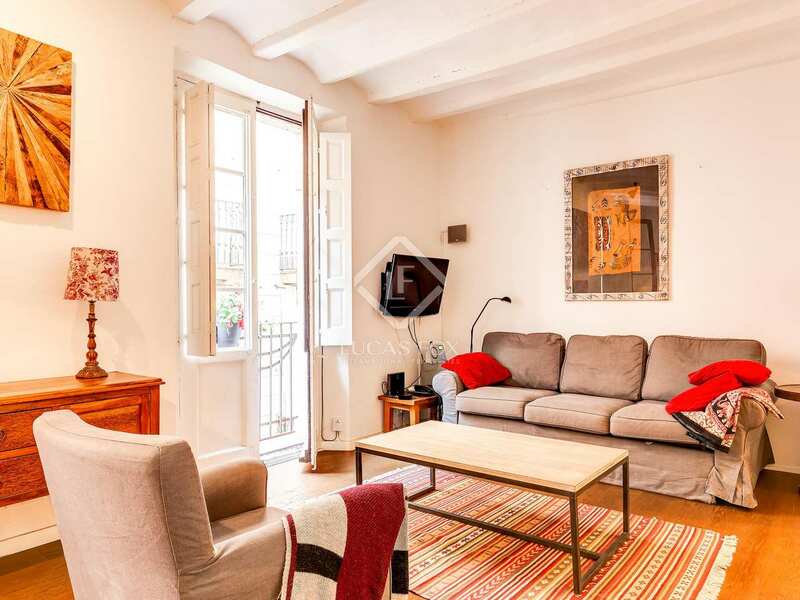 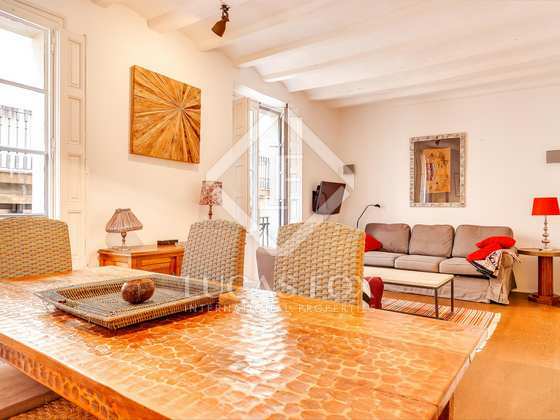 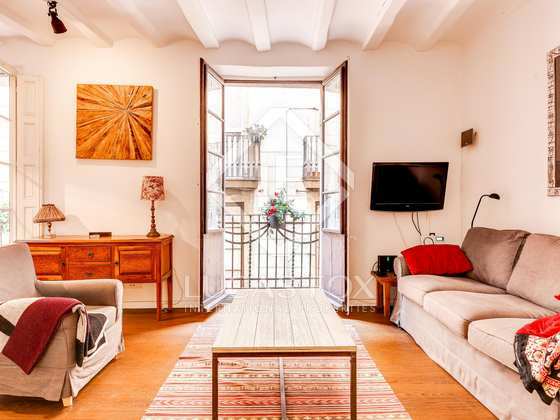 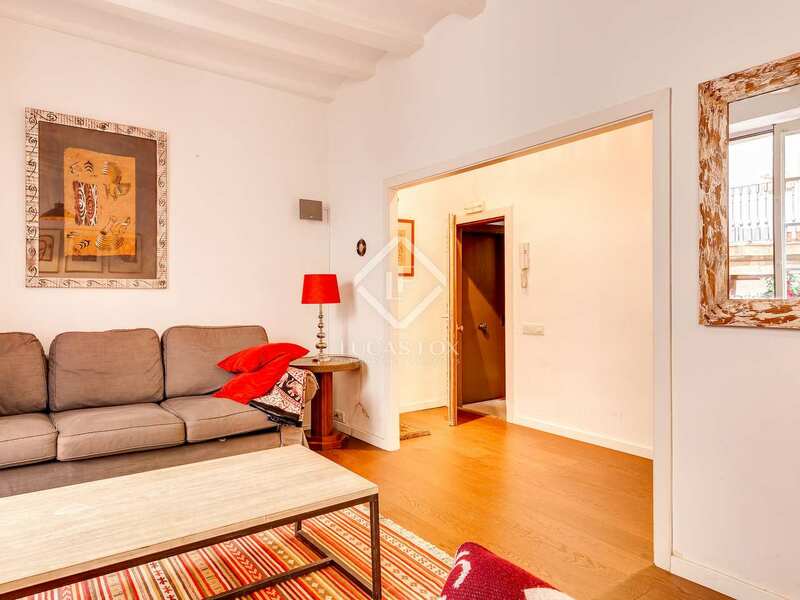 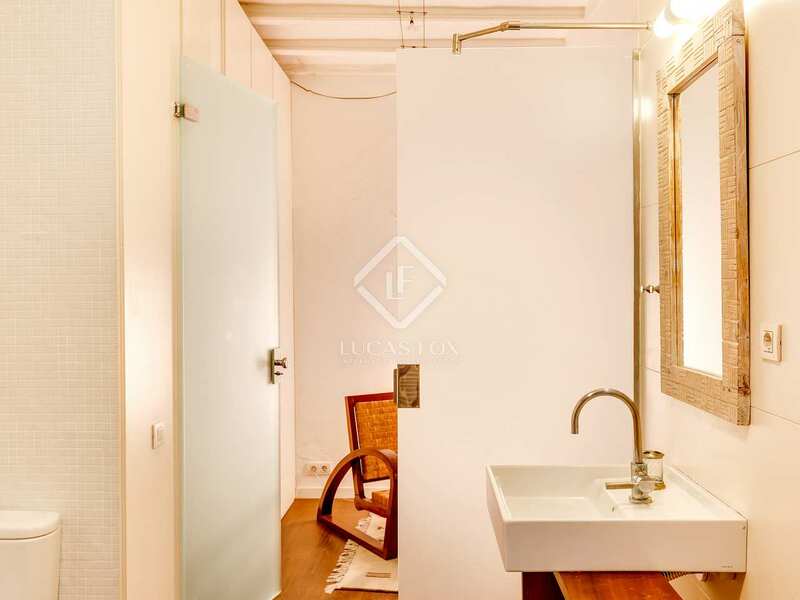 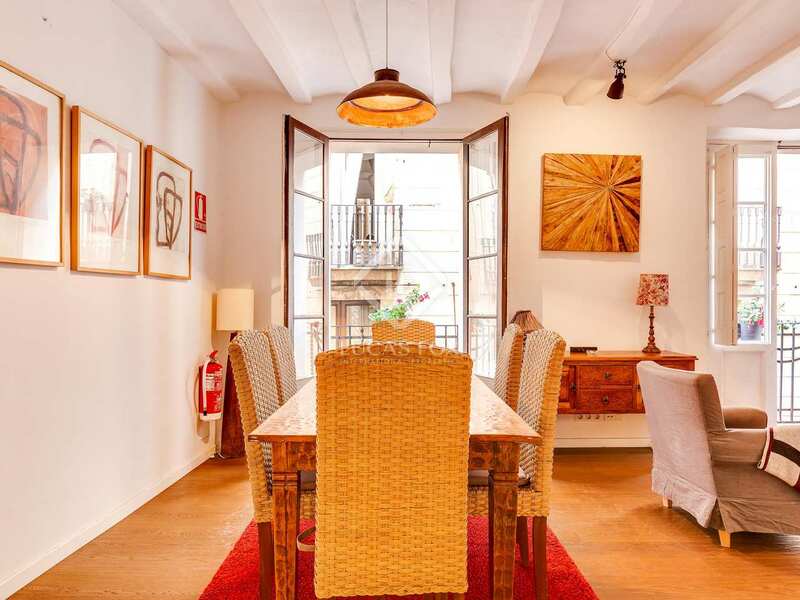 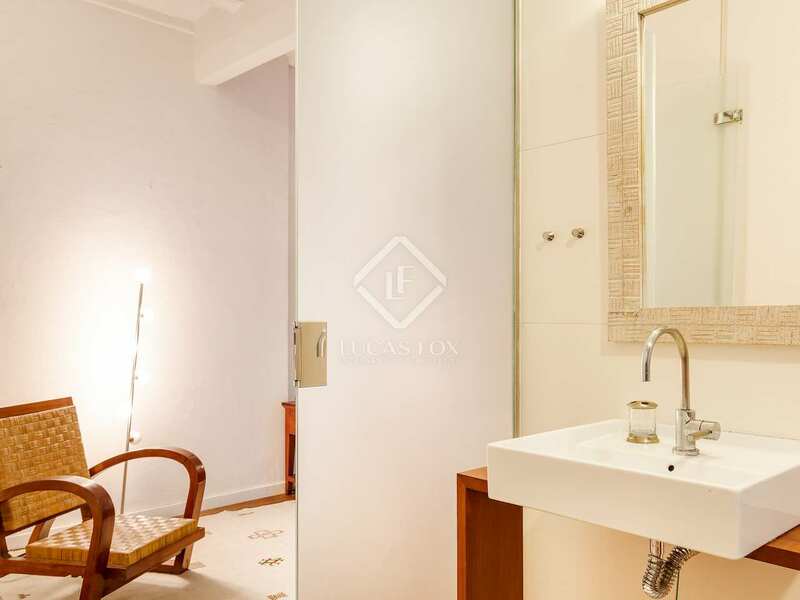 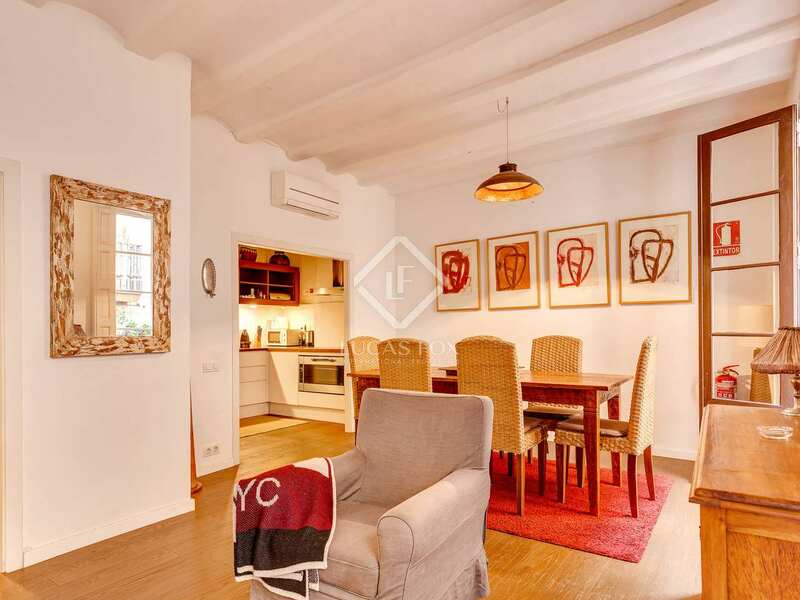 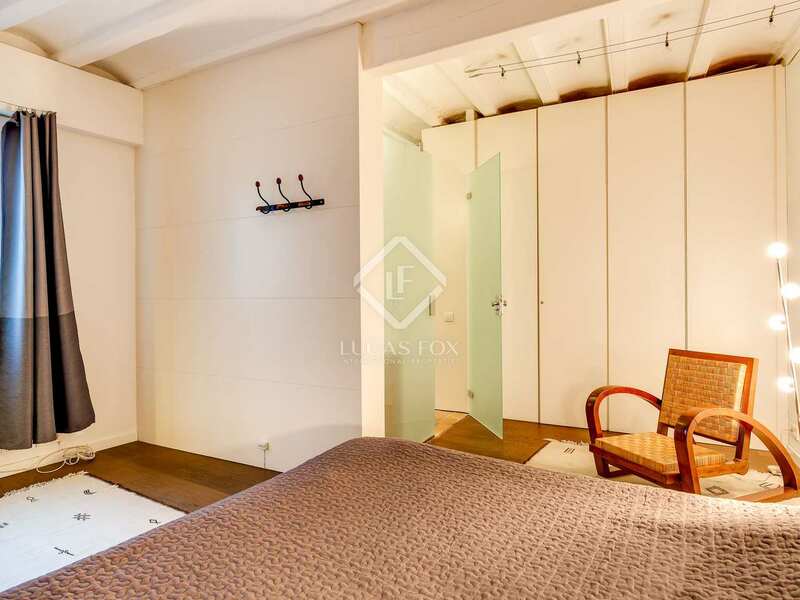 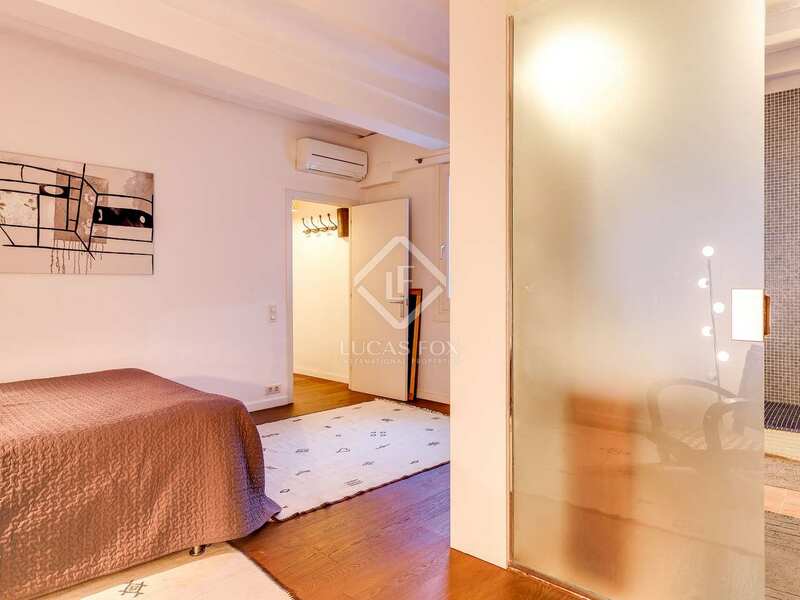 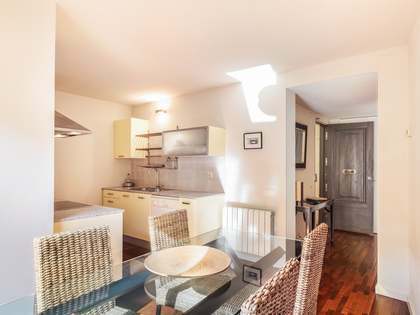 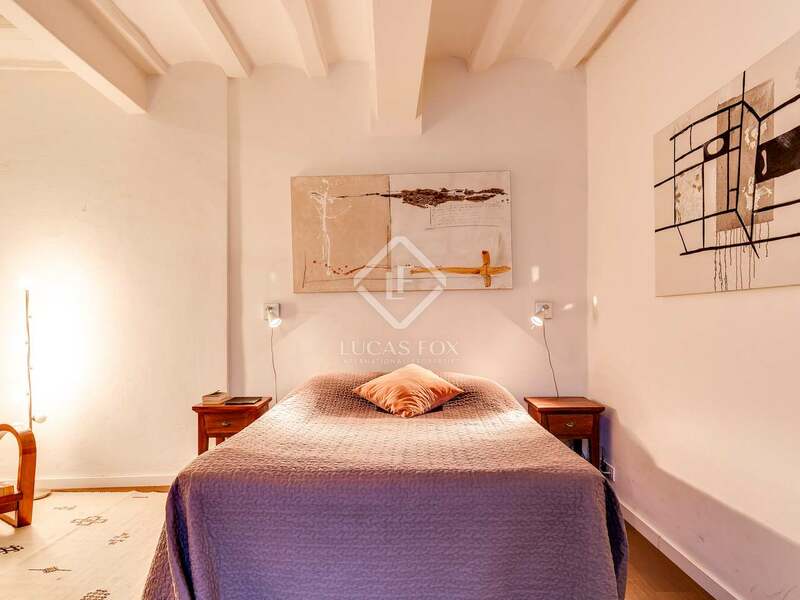 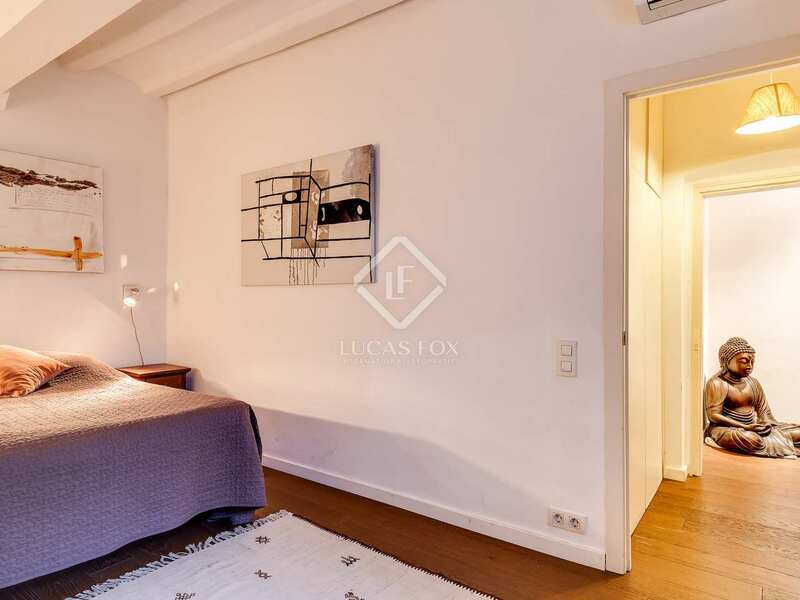 Bright 1-bedroom apartment for sale close to Plaça del Pi in Barcelona's Gothic Quarter. 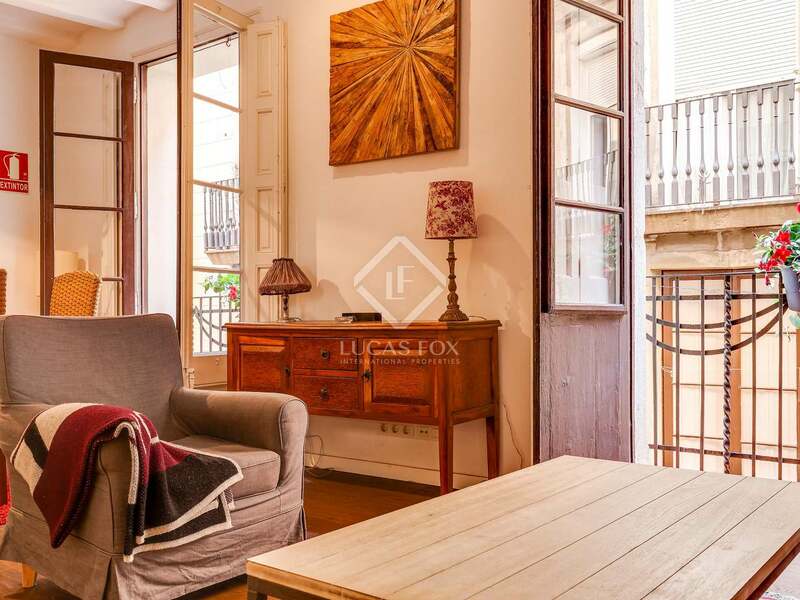 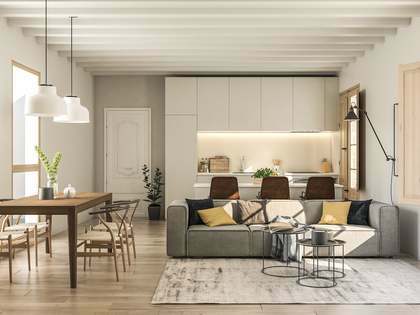 Located in the heart of Barcelona's Gothic quarter, close to Plaça del Pi and the Cathedral, this property is ideally located to enjoy life in this vibrant city to the full. Characterised by its winding streets and rich history, this area of Barcelona is a popular choice for those seeking an authentic experience. 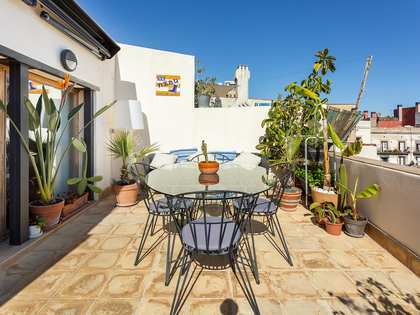 There are also excellent public transport links connecting the area to the rest of the city. 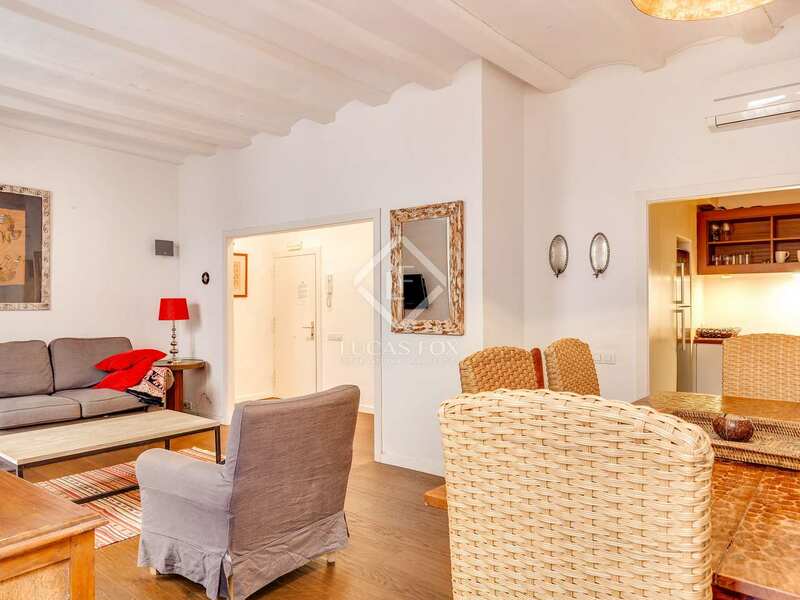 With ceiling beams and walls painted white, this apartment is bright and fresh. 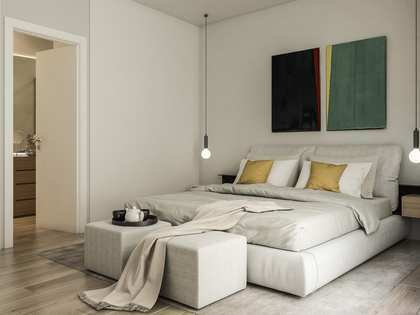 Furthermore, doors from the living area open onto 2 balconies, allowing abundant natural light to enter. 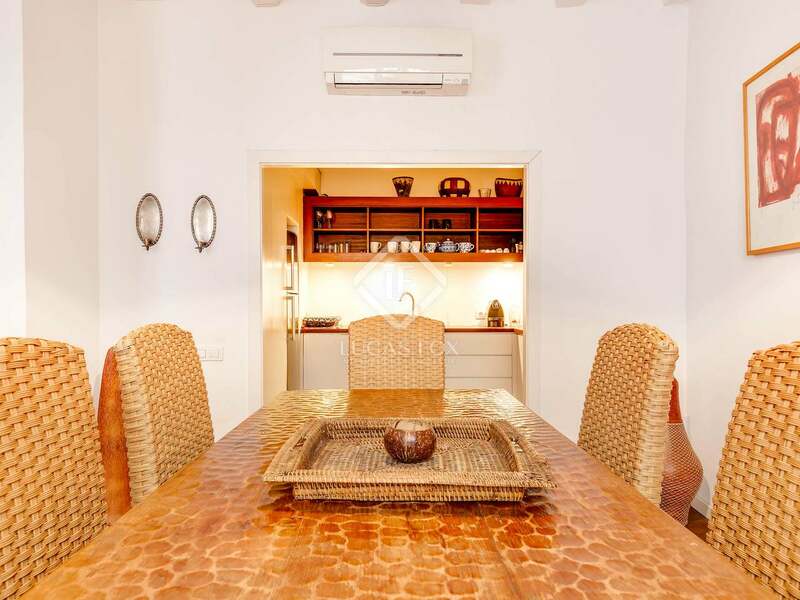 The apartment is composed of the spacious living-dining area with a modern, open kitchen. 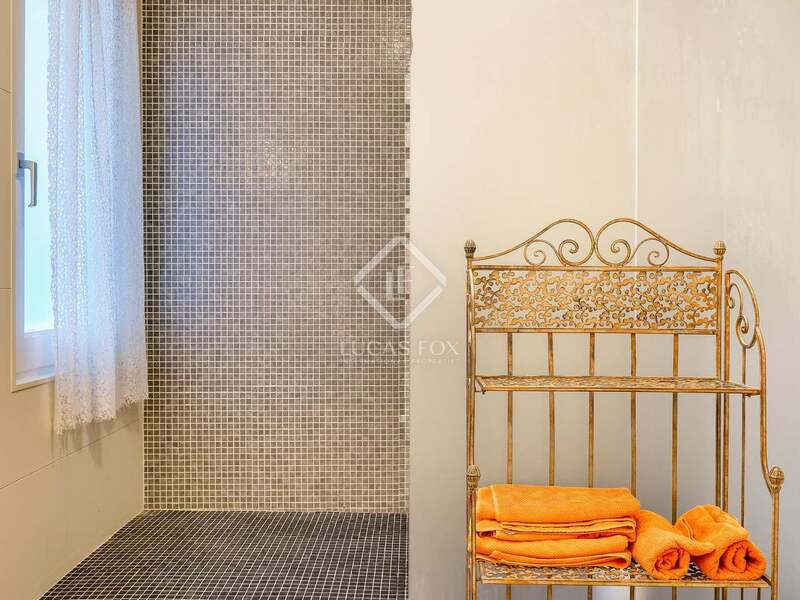 The large double bedroom has ample storage and a generously sized ensuite bathroom with mosaic tiling and a shower. 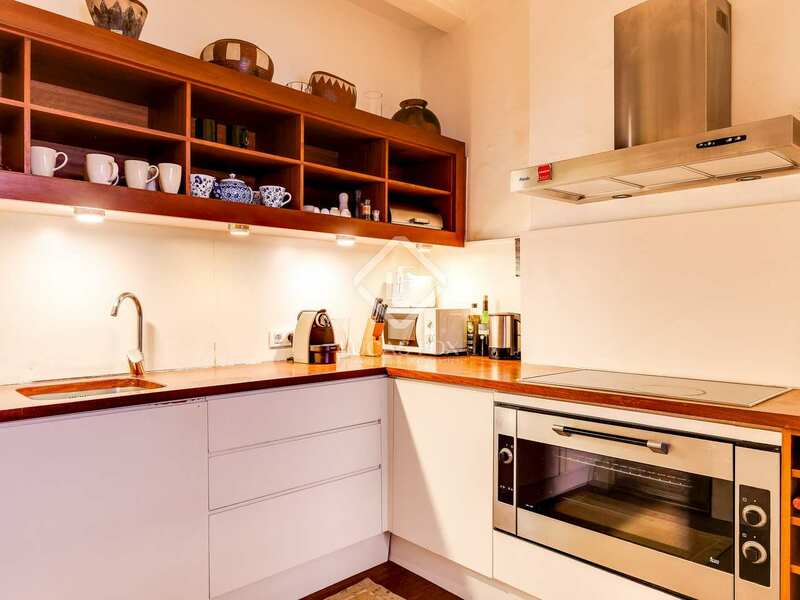 For buyers seeking a bright apartment in excellent condition and in a fantastic city centre location, this could be the perfect option. 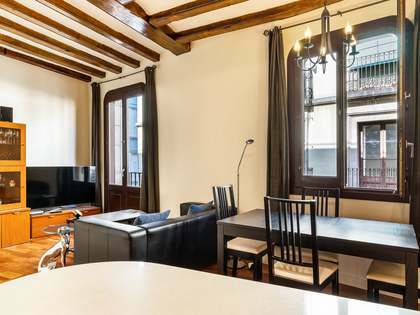 This apartment is located in the heart of Barcelona's Gothic Quarter, close to Plaça del Pi and the cathedral. 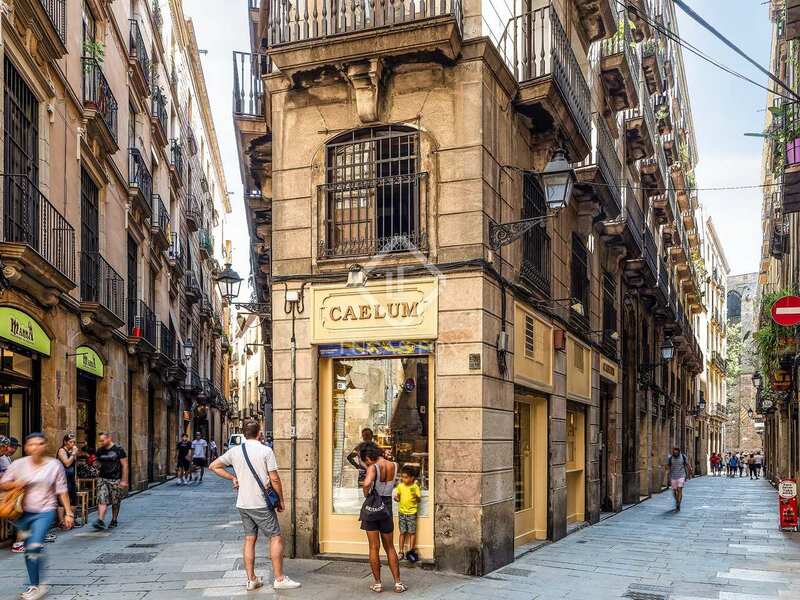 With an excellent range of shops and restaurants, as well as a rich cultural offering, this area of the city is perfect for those who want to be located in the Old Town. 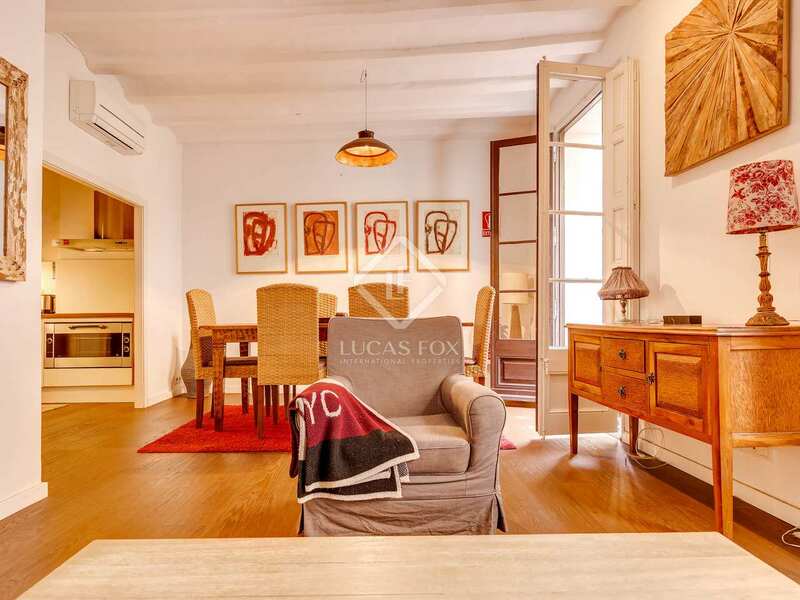 Public transport links connect the area to the rest of the city whilst many of the main points of interest are in walking distance.